Bored of using mouse? Don't worry, Now you can control your mouse pointer just by moving your head using a small program. Surprised? yeah it's true. 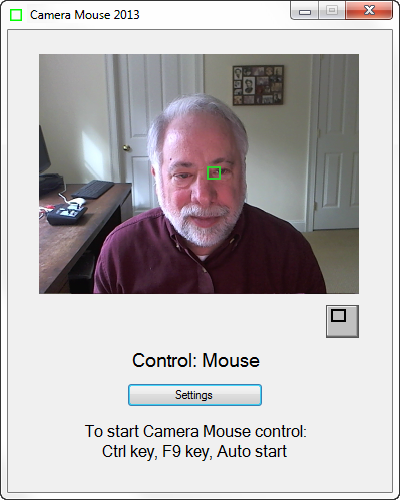 CameraMouse is developed by Boston college for physically challenged people. They can easily replace the mouse by using this application software. Any other hardware is not required and free to download. Let's see how it works. What you required to work with CameraMouse is, PC or tablet with Webcam and Windows OS. When you install and open this software, your moving image will be shown in the Camera Mouse window. Now select any of your portion on your face to track. While you completed this simple task, get ready to control your mouse pointer using head. For better performance, use eyes or nose for controlling mouse movement. Clicking, Double clicking and many of other uses of mouse can also be used in Camera Mouse too..download camera mouse 2013 manual here.